Now and then I have the opportunity to try out new things. I love it when that happens, especially when it’s been something I’ve had on my wish list for a while. 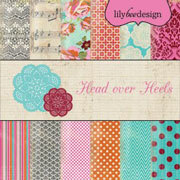 This past week, Lily Bee Designs has paired up (well there’s three so maybe “teamed up”?) with Epiphany Crafts and Glue Arts for a few product challenge. They make a lovely trio, don’t you think? Today is card focus day and I created two cards for the challenge. It was easy-peasy as the companies’ products matched up so well. 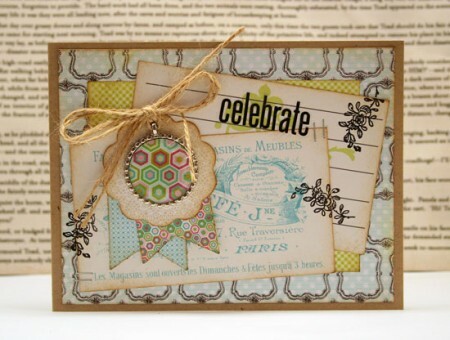 My first card uses my Victoria Park line papers and stamps. I’ve used the Glue Arts adhesives to put it all together. Glue Arts is not new to me. 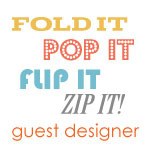 Their Glue Glider Pro is one of my go-to tools and is always on my desk. 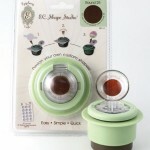 I did try out their adhesive dots for this project and they hold up heavy items like the beautiful Epiphany charm well. 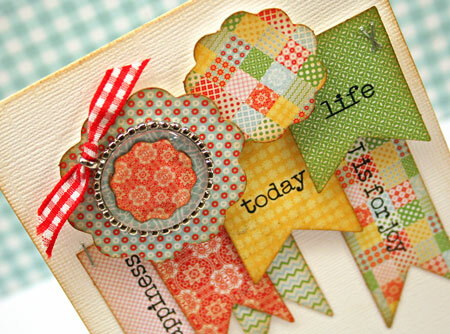 This was my first time trying out Epiphany Crafts products. I think I’m hooked! The charms are just stunning and so easy to put together. I love tools that are quick and easy to use. If you’ve never seen an Epiphany Shape Studio Tool, it’s a sweet punch combo that punches the shape and adheres an epoxy shape on top in one step. 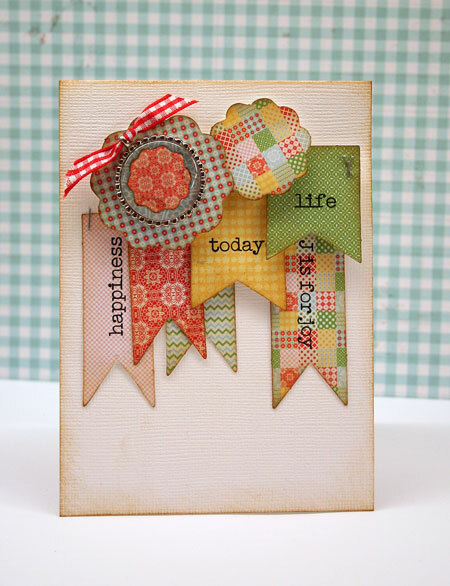 For this card, I’ve punched some Victoria Park paper to put in the charm and layered the charm over some die cuts to resemble a medallion. 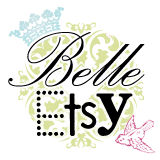 The latest addition to the Lily Bee product line last CHA was their Bag of Bits. These little die cuts are perfect for quick accents and my second card features a card made entirely (well, a little cardstock) from them. I’ve layered the bits together before punching to fit into the Epiphany Crafts charm accent. 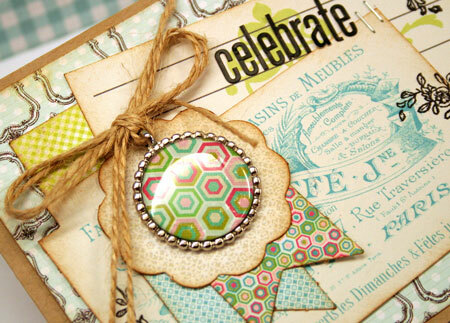 You can also layer stickers or stamp the punched piece before making your charm. Once again I used the Glue Arts Glue Glider Pro and also used their U CUT IT 1/8” Foam Adhesive. I love how you could cut the foam adhesive to any size you wish. 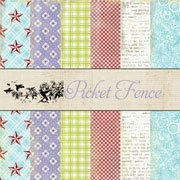 You can find these cards and many other fabulous card ideas from the Lily Bee Design Team here. Make sure you stop by as there is a giveaway you won’t want to miss. If you have the time, check out the other posts in the hop this week for more inspiration and chances to win great product. 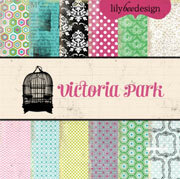 I found this post in particular that has a giveaway for my Victoria Park Collection Kit and Index Journaling Cards! Good luck!